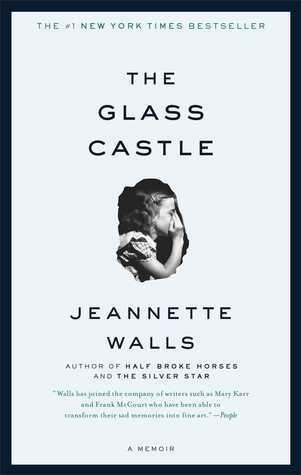 Welcome to this month’s edition of Banned Books, where this month Beth and I have read The Glass Castle by Jeannette Walls. BETH: As one of the more fairly recent releases for our banned books list this year, answers for the first two questions are going to be similar as I don’t think attitudes have changed that much in the last ten or so years. There are a few profanities in the text with one mention of the “c” word which I know some people may not take too kindly to. However, I feel that no matter where you go or what you try to avoid, you cannot help but hear bad language, whether it’s in the street or on the television. If you’re offended by bad language, fair enough that’s your own personal right and you can choose to read this book or not. In my opinion, it’s not completely littered with profanity so I was perfectly happy whilst reading it. CHRISSI: It does have some offensive language, I know the ‘c’ word certainly offends me, but when used in this book it didn’t bother me so much because it was the reality of the situation. It didn’t prevent me from reading this book, it just made me cringe a little. That’s fine. That’s real. I can see that its heavy subject matter might be too much for teenagers but moving into YA and adult, I don’t think it’s something that should be necessarily banned. As Beth says, you can hear much worse on TV, around friends and with music. BETH: See first answer! This book is not marketed as a young adult novel. In fact, it is on the “adult” category of GoodReads. This may be down to the occasional bad language, sexual references or some of the more adult content that it contains. The subject matter that this novel deals with is difficult and was, at times, hard to read for me but I’m incredibly glad that I did because I found it a wonderful, highly emotional piece of writing. I can’t really think of any hard and fast reasons why it should be challenged/banned and think a memoir of this standard deserves to be read. CHRISSI: Like Beth, I don’t think it should be necessarily challenged or banned as I think it’s a highly important read. Perhaps, if in a high school/college library it should have a notice for explicit content, but an outright ban? No I wouldn’t agree with that. BETH: I thought it was a brilliant read! The fact that it is a memoir just made Jeanette’s difficult upbringing with her family all the more poignant and a little chilling in places if I’m honest. I felt so sorry for Jeanette and her brother and sisters being brought up in such an environment, moving from place to place, sleeping in cars and rooting through rubbish bins just to find something to eat. It’s a life that no child should have to experience and really made me think about people that are less fortunate and don’t have the blessing of a stable home/family. CHRISSI: I was utterly gripped by this book. I couldn’t put it down, but at the same time, I wanted to because it was such an intense read. It was tough to read about what Jeannette and her siblings went through. It made me realise how lucky I was to have the upbringing that I did. It certainly kept me thinking and I imagine this book will stay with me for a long time.